M.E. Embedded Systems is a post graduate embedded system course. Eligibility to which is 50% marks in graduation.Some Institutes conduct their own entrance examination for selecting students. The majority of institutions take admission by taking their own entrance examination. Master of Engineering program provides a deeper insight of the mathematical, theoretical and application aspects of embedded system. The embedded system is a combination of hardware and software elements to perform specific function. Post graduates of Embedded system have a wide range of job opportunities such as system firmware engineer, Test Leader, Require Test Manager, Associate Engineer, Wireless MAC firmware Embedded Developer, Embedded Design Engineer, etc. 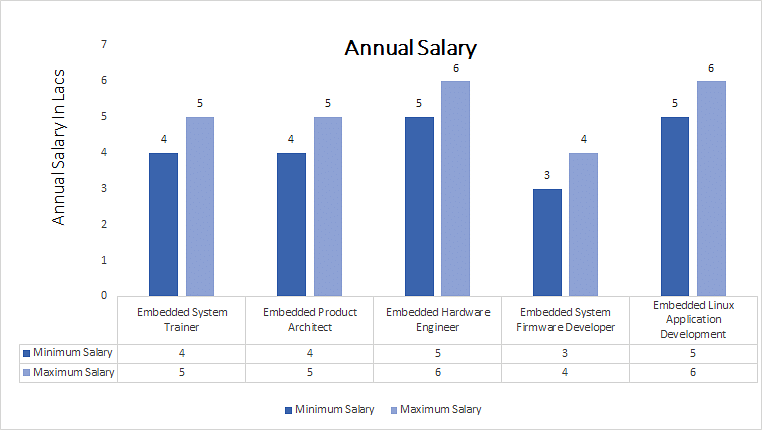 The average Post graduated in embedded system earns between INR 3 to 10 lacs per annum. Top Recruiting companies Abbot, Accenture, ITC, Microsoft, etc. Job Positions System Firmware Engineer, Wireless MAC firmware Embedded Developer, etc. M.E. Embedded Systems: What it is about? M.E. Embedded Systems course offers a deep insight into the mathematics of the electrical engineering, fundamental and advanced topics in the Embedded system, etc. The course provides a platform for the engineers and postgraduates to pay more attention towards research and development in the field of Embedded Systems. The curriculum is designed to include the subjects related to the embedded systems area under the broad categories of the hardware and software related to the embedded system technologies. By pursuing M.E. Embedded Systems, the skills you have acquired in a specific field are recognized as pre-requisites for this advanced professional degree or in the Industry. Your prior knowledge and experience is enhanced by post graduate studies which focus on your chosen profession. The course ensures that the student acquires the deep knowledge of the hardware and software of the embedded system and the related technologies. Students can specialize in a wide variety of topics ranging from control engineering, integrated circuit design, computer architecture, communication networks, etc. Graduates who have pursued BE/BTech or equivalent in Electronics and Communication, computer science, Information science, Electrical and Electronics, Telecommunication, Mechatronics and Instrumentation Engineering are Eligible for the program They must have got more than 50 percent marks. The admission procedure will vary from institution to the other. Some of the reputed universities and institutes conduct entrance examination for admission to the degree course. . The majority of institutions in India take in students on basis of marks obtained by them in the respective examination. Embedded system is a combination of hardware and software designed to perform specific function. Examples of the embedded systems include the ABS control of a car or the operation of its engine, the automatic mode of cars and aircraft. The embedded system is not only confined to the mobiles, computers, etc. but it has a wide range of application in different electronics as well as day to day life usage. The importance of the Embedded system is growing continuously. Career opportunities for the M.E. Embedded Systems postgraduates are available in the field of aerospace, automotive, etc. The post graduates have a wide range of job opportunities in the industry as well as the academics. It is possible for the post graduate students of Embedded system to get jobs as the Embedded system Trainer, Embedded product architect, Embedded hardware Engineer, Embedded system firmware Developer, etc.